LA Commercial brokers residential, multifamily, development, retail and industrial commercial properties & businesses in greater Los Angeles and throughout the United States. We're certified experts in brokerage of real estate and commercial properties with a long track record of successful closings. Peter Ciriello CCIM, CBI (Broker License #1418188), founder of LA Commercial, is recognized as a leading commercial asset agent and expert in Los Angeles. As the principal broker, Peter focuses on transactions, client care and relationship building. Peter has earned the coveted CCIM designation, and the prestigious CBI designation and is the recipient of RE/MAX’s highest honor, the Hall of Fame Award. He has demonstrated unrivaled knowledge of the underwriting, pricing, & marketing. 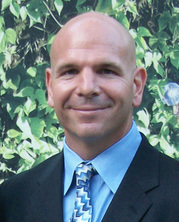 Peter is a licensed broker in California, New York and Georgia and has a Master’s degree in Psychology. Peter is also an Internet entrepreneur; as a self taught programmer, Peter has built, owned and sold many tech businesses and websites over the years. Peter understands both the technology business specifics as well as it's effect on commercial real estate. Peter's tenure and business acumen includes consulting for prominent tech business brokerages such as Cloud Income Properties and Digital Exits. Peter is well traveled and considers his belief system, attention to details, customer care and continued thirst for knowledge the reason for his success. When I started in commercial real estate as an assistant at a big firm back in 2003, I had no idea what I wanted from this business. Now it's fifteen years later and my business has changed in so many ways. I now understand the benefits of fixed assets and the scale-ability of intangible assets. I can compare and contrast the Internal rates of return (IRRs) on real estate verses businesses and can explain in great depth, the tax benefits, income shelters, and cash flows of both assets. I have achieved the CCIM designation for excellence in commercial real estate and the CBI designation for excellence in business transactions. I have listed and sold many low income housing deals, from in-place rehab and tax credits. I have sourced, negotiated and closed future development sites for ground up development. If you're a client, or know me and you know my history, for those that don't I am not going to rehash it, if your interested, call me. What I should tell you, if you haven't already guessed, is that I am not from Los Angeles, I am New York born and bred, living out here. What does that mean? It means I am not going to mince words, I tell clients like it is - if you appreciate that, you and I will get along, if you want someone to tell you how pretty your shoes are, find another agent. I am probably one of the most risk-adverse entrepreneurs you will ever meet. I realize that's an oxy-moronic statement, how can a risk taker be risk adverse? The answer is " by doing things right." I try to take the utmost care in doing things "by the book," with zero risk to compliance, regulation or illegality. Other than being risk adverse, I pride myself in being straight-forward in my advisory. I don't tell clients to sell or buy, I don't convince them to take less or pay more, I help them make the big decisions by providing access to my experience and best judgment. I don't leave them until their undertaking is complete. The business I am in is buying and selling assets for others. If you're looking for help, start here; pick up the phone and call me. A CCIM (Certified Commercial Investment Member) is a recognized expert in the commercial and investment real estate industry. The CCIM lapel pin is earned after successfully completing a designation process that ensures CCIMs are proficient not only in theory, but also in practice. This elite corps of CCIMs includes brokers, leasing professionals, investment counselors, asset managers, appraisers, corporate real estate executives, property managers, developers, institutional investors, commercial lenders, attorneys, bankers, and other allied professionals. A CBI (Certified Business Intermediary) is a prestigious designation exclusive to the IBBA that identifies an experienced and dedicated business broker. It is awarded to intermediaries who have proven professional excellence through verified education as well as exemplary commitment to our industry.